American School has released updated versions of its popular U.S. History and World Literature courses. American School is proud to release new versions of two its most popular courses. Starting November 24, students taking United States History and World Literature will get the same high quality education as previous enrollees but will now receive a new textbook and study guide for each course. The new United States History course covers events from the first Native People groups settling in the Americas and the creation of the United States through the present. It provides opportunities for developing skills in comprehending, analyzing and interpreting how past historical events influence our present lives. The new World Literature course gives students an overview of important literary works of the last 500 years representing a variety of countries and cultures. Students study how writers from different backgrounds use literary elements and techniques to convey meaning in their short stories, plays, poems and non-fictional works. Students write compare and contrast essays about characters, plot elements, and themes in a variety of literary works. The aim is for students to gain a historical and geographical context for literature and to learn to analyze literature by asking relevant questions as they read for the course and for their own pleasure. American School has been a leader in distance education since 1897 and has helped more than three million students across the country and around the world earn their accredited high school diplomas. Students wishing to earn the American School’s diploma choose either General High School Program or College Preparatory Program, both of which contain 18 units of credit. American School also offers individual courses to students with an existing homeschool curriculum and to students who attend brick and mortar high schools. The latter group takes individual courses through the Independent Study Program, which thousands of schools use each year to help their students graduate on time. Individual courses typically cost between $150 and $300, and students who take individual courses receive the same Online Student Center benefits as those students who are working toward their American School diploma. 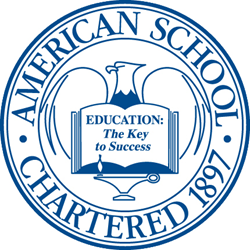 American School is accredited by the Middle States Association of Colleges and Schools Commissions on Elementary and Secondary Schools (MSA-CESS), Ai (Accreditation International) and NCPSA (the National Council for Private School Accreditation) and is recognized by the State of Illinois as a non-public high school. For more information, call 866-260-7221 or visit http://www.americanschool.org.